Contemplative Group Dynamics – Explore reality with others in real time. How might we extend individual practice of mindfulness into relational space? How might mindfulness training deepen awareness of group dynamics? Why contemplate in a group, with a group, as a group? When we think of contemplation, we often think of being alone. To stay connected to ourselves we separate from others. We draw a false distinction between being contemplative and being interactive. But what if we could bridge our contemplative practice with the communities to which we belong? We know the group’s power to direct our attention. Groups can steer our attention away from the present moment and into discursive mind; groups can also help us dive deeper into practice and stay for longer periods of time. Contemplative Group Dynamics offers mindfulness practitioners the opportunity to benefit from the shared intention of a group to deepen practice through group interaction. Contemplative Group Dynamics is a unique group meditation practice that stabilises and clarifies group attention. We can then explore the nature of mind, experience, and reality. Contemplative Group Dynamics is grounded in Buddhist meditation and Western phenomenology. It supports practitioners interested in interweaving private and shared meditative experience. Contemplative Group Dynamics is based on the foundations of mindfulness: body sensation, feeling tone, mental-emotional events and phenomenon or experience. As in individual meditation practice, the foundations of mindfulness provide a simple and profound way to explore the nature of our experience. While many meditators are familiar with the foundations of mindfulness as a solitary and individual practice, Contemplative Group Dynamics transposes these to the group using speech. Contemplative Group Dynamics is helpful for beginning as well as seasoned meditators. 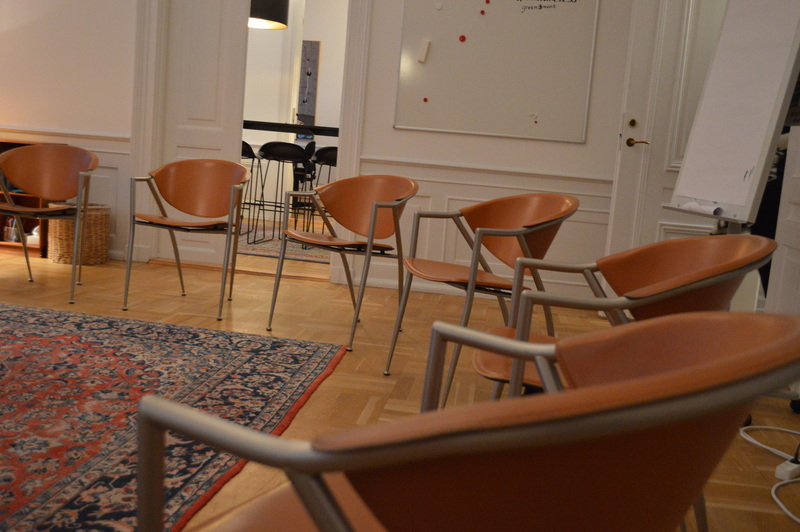 Group specialists will discover how the precision of mindfulness mixes with the openness of the group environment. Beginning meditators benefit from the use of both silent and speech practice. During practice with speech, “objects” of mindfulness such as body sensations are articulated by members in a concise and simple way. These articulated moments are similar to a guided practice only that the group is guiding. The articulation of the particular foundation, be they sensations, feelings, mental events, or experience, help keep the focus on the same. The practitioner may join the discourse with their own contributions thus helping to build the contemplative environment. Seasoned meditators can glean insight into how experience may manifest as private or shared (subjective or intersubjective). Practicing as a group provides a relational context for exploring how we are affecting and are being affected by one another moment by moment. Practitioners may view the dynamic activity of the group as a way of working with the intersubjective stream of one’s mind. Sustained attention is strengthened by the group intention to be present. Sustained attention discloses the true nature of what arises including the designations of self, other, and world. Groups who hold a contemplative value system whether they be for work, personal development, or meditation may find group mindfulness practice useful. When the group’s attention is scattered, movement toward a shared goal is compromised. The Contemplative Group Dynamics practice helps gather a group’s attention in an exceedingly simple way. We ground ourselves first in silence. Speech that comes from silence expresses situational wisdom which then may inform action. Such action is fundamentally different from action based on individual or group habit.